Madison, Wisconsin – Governor Scott Walker today announced $16.9 million in awards for 38 Wisconsin communities through Community Development Block Grant (CDBG) Public Facility and Planning Funds. 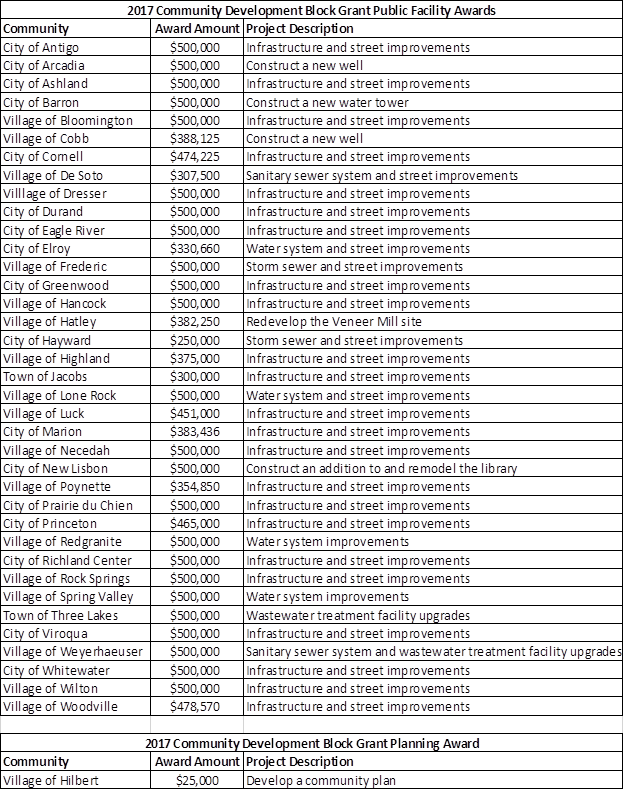 CDBG is federal funding used to help towns, villages, and non-urban cities improve streets, infrastructure, and community buildings. These grants are targeted for projects in communities that primarily benefit low-to-moderate income residents.